Most recent properties displayed first. Corner lot located on Montana Avenue next to the County Detention Center. 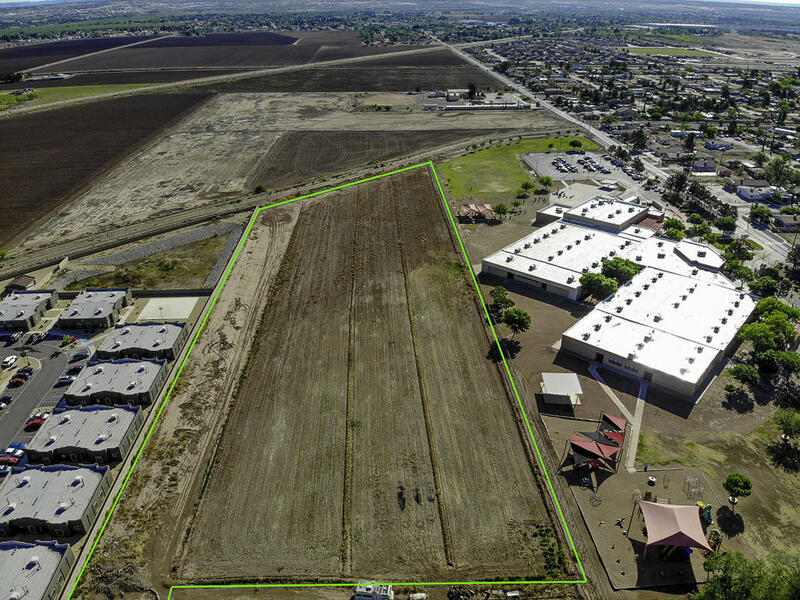 This property can be easily developed into several buildings that can be leased for multiple purposes. Conveniently located just east of Joe Battle on Montana Avenue. 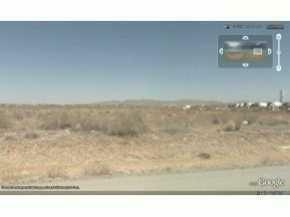 **High Traffic Counts**Lot Size: 4.5 Acres**Taxes 2018: $6,943. 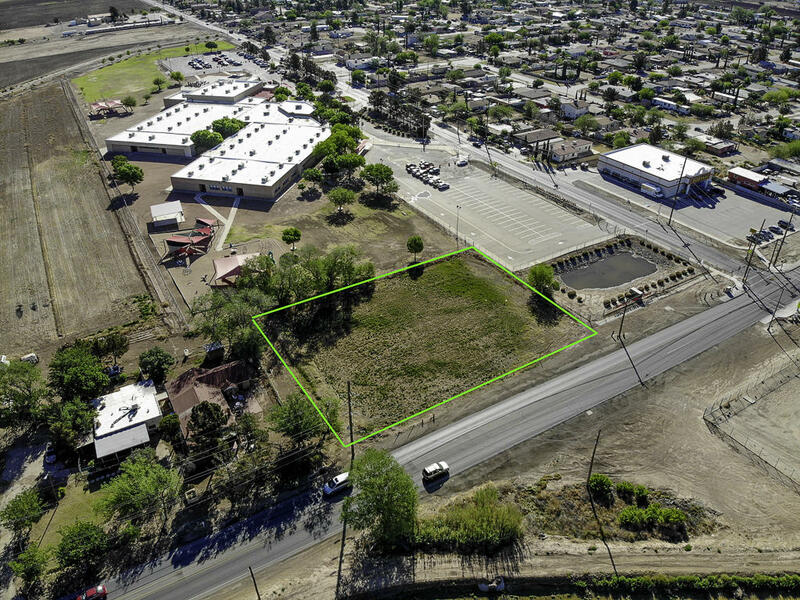 Corner lot, less then $1.00/Sq. FT, best use for wear house storage, auto shop or investment for future value. 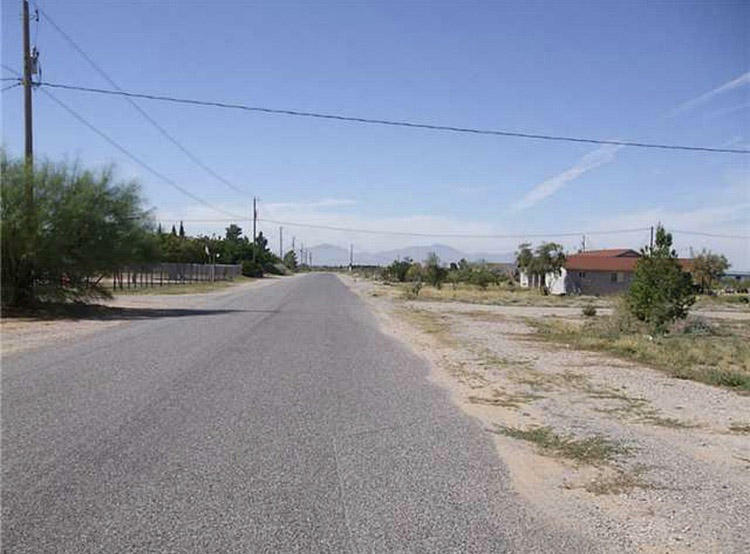 20 Acres of land frontage with State Highway 1111 north of I-10 with 377 feet frontage. 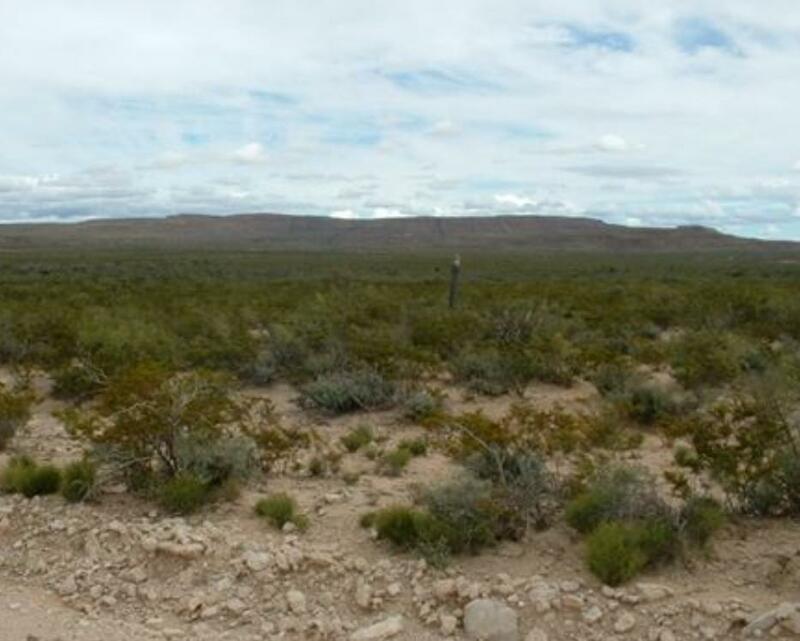 Excellent opportunity to own land right on the Highway between Sierra Blanca and Dell City. 6. 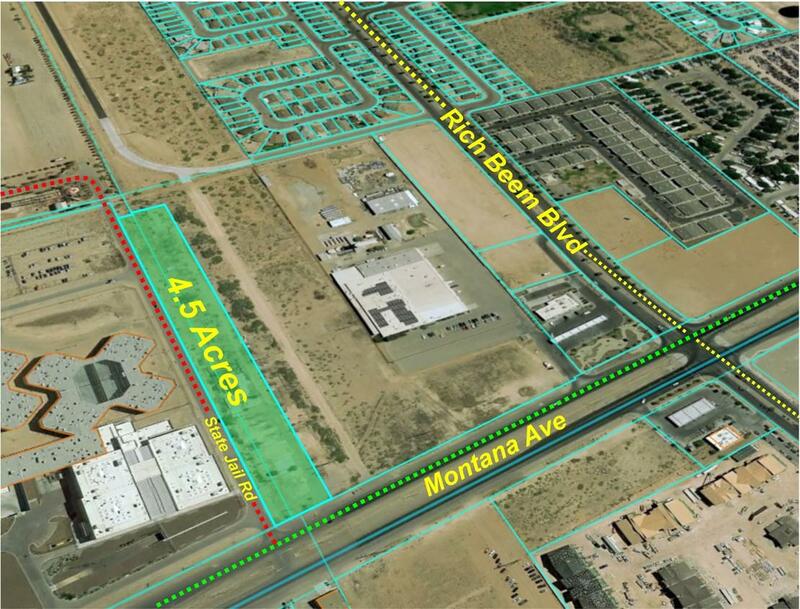 5 Acres of land, excellent opportunity for growth or new construction, with frontage of Socorro Rd. easy access to all amenities and Loop 375. 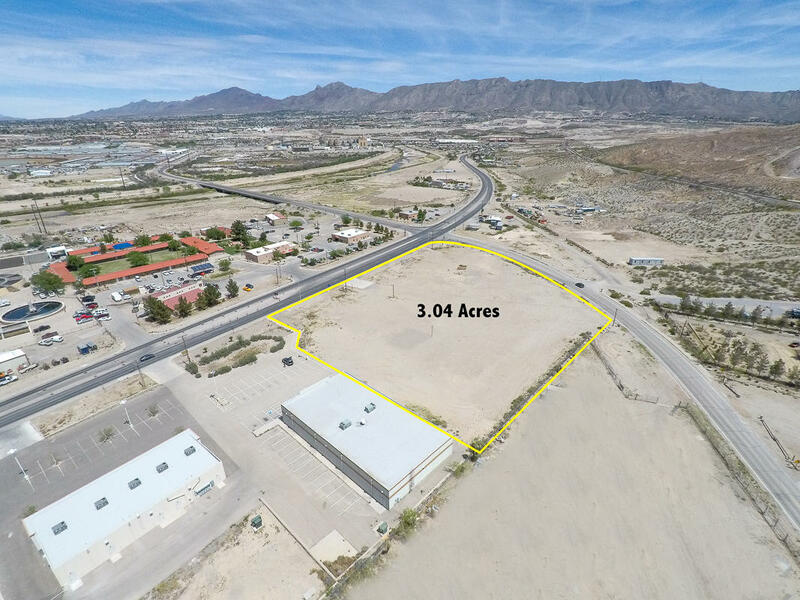 Excellent corner location with Frontage of Socorro by Passmore Rd. close to lights at intersection.School, Apartments, gas station, laundromat, and other stores, busy street. 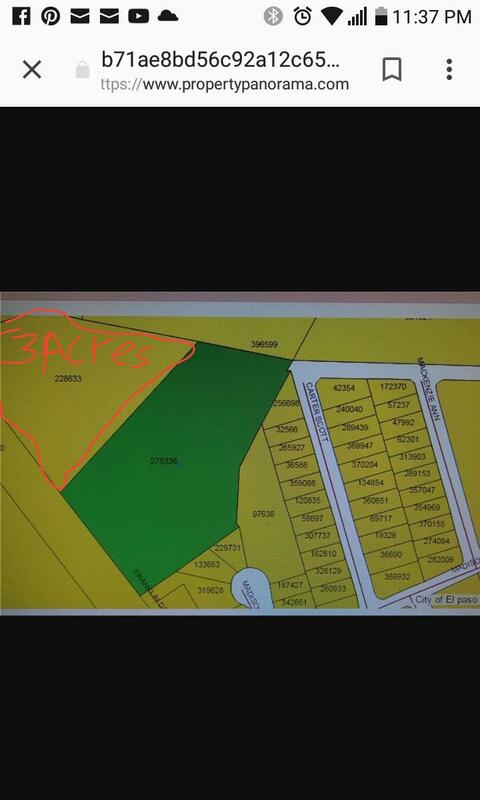 5 acres of C-4 zoned land. 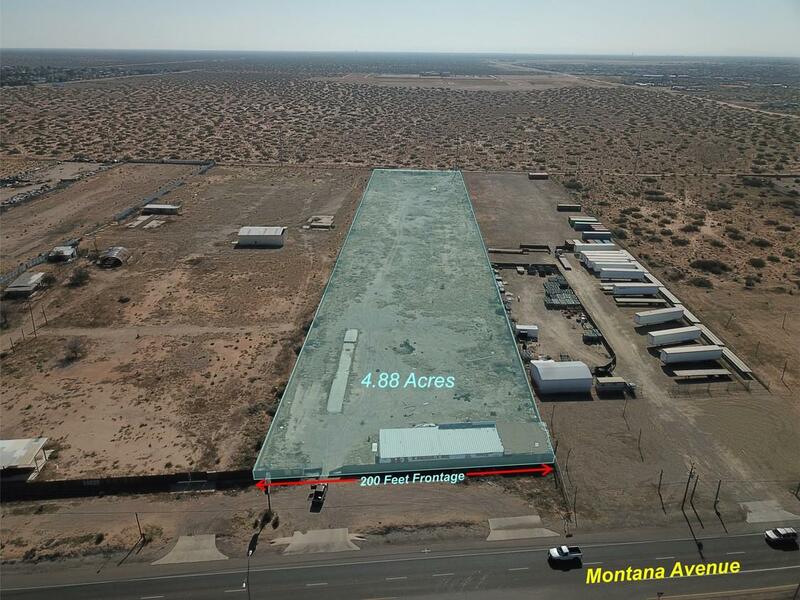 This property is great for any heavy user, including car business, trailers, bars, etc. If your looking for a view you've come to the right place! Build your dream home on the mountain in this beautiful lot. 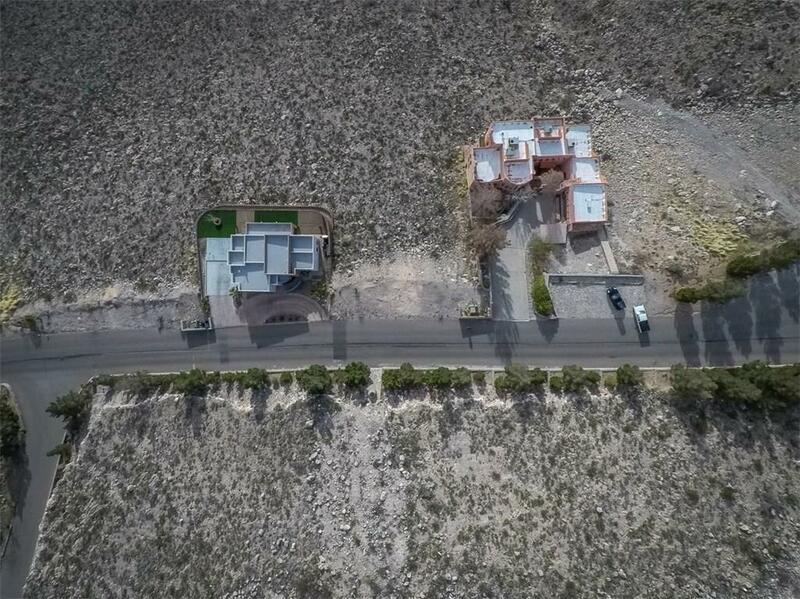 This lot is close to hospitals, the university and stunning mountain terrain, all in a safe gated community. 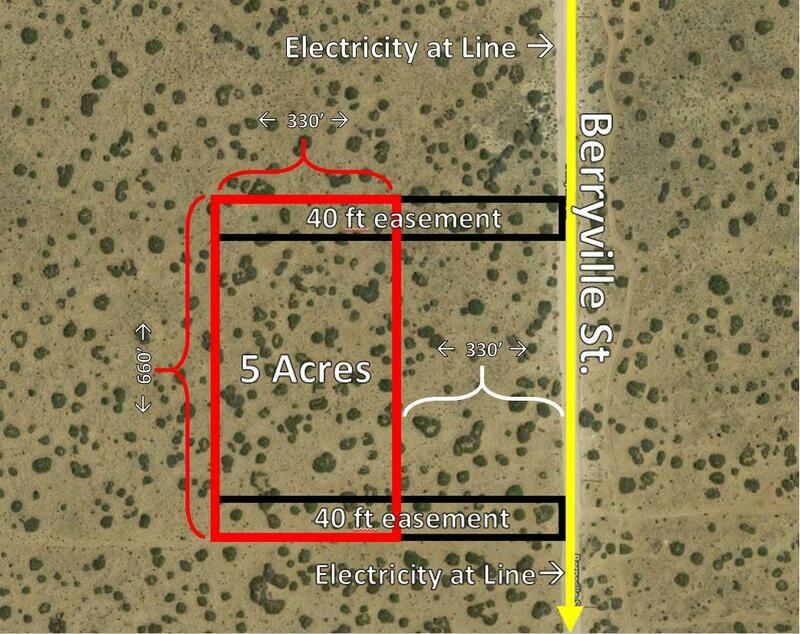 Here's your chance to own 40acres at a great price. 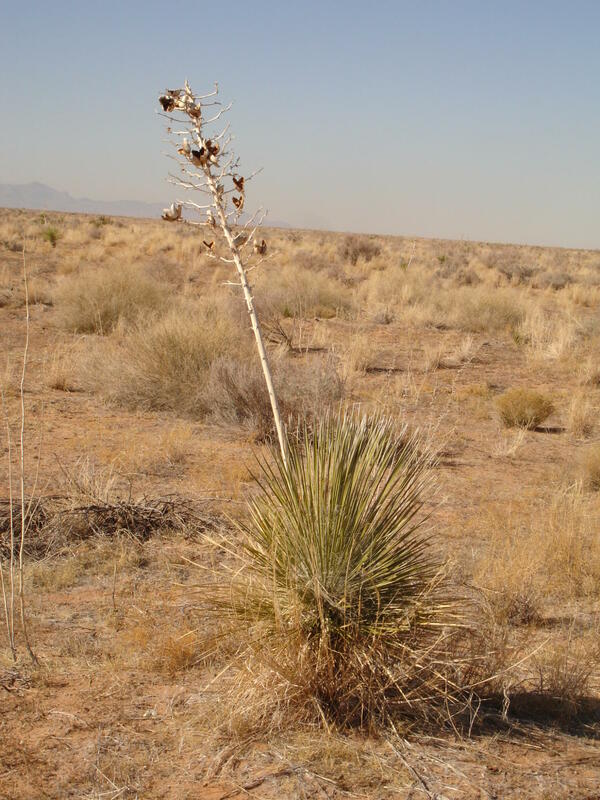 Whether you plan to build a home, ride your hourses, start a farm, or just keep it till area develops. At this price it won't last. Bring us your offer today. Don't wait! 2nd lit from frontage road. 330+/- ft. from Berryville St. makes this an excellent buy for trucking, heavy construction yard, landscape facility, or material yard. Berryville St. extension to be paved in near future. Prices will skyrocket!! Electricity at main road.